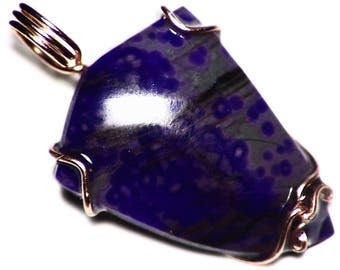 This pendant features a cabochon of purple sugilite (note the pictures look very blue--for some reason our camera can't handle some sugilites and gives them a very odd look!). 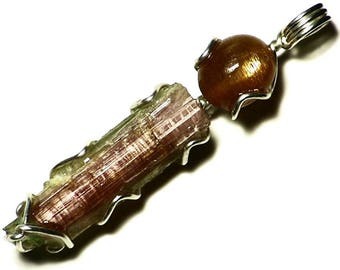 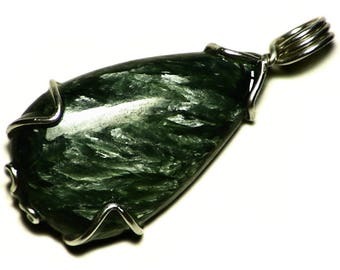 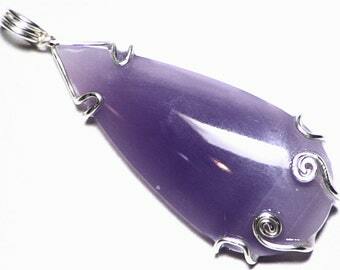 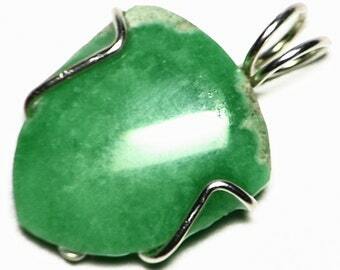 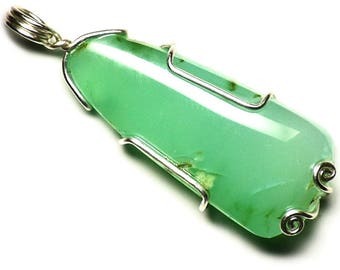 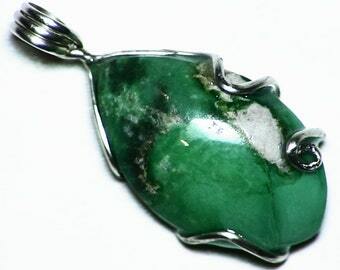 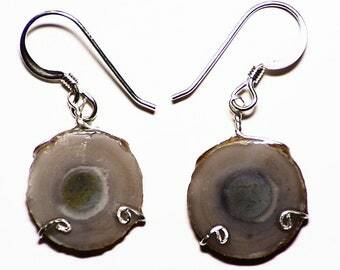 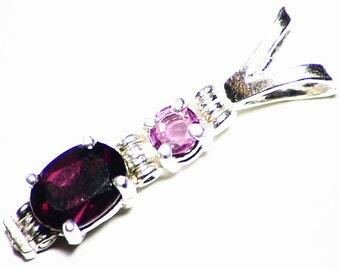 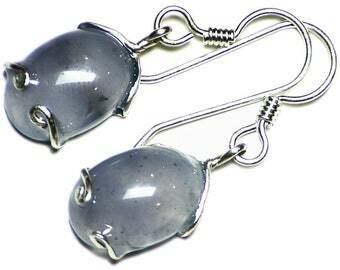 The raw gemstone measures 1.15 x 0.62 inches (29.1 x 15.7 mm) and is set in sterling silver. 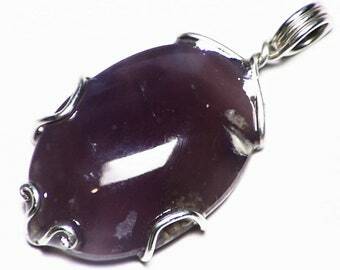 Sugilite is a rare mineral which has only been found in gem quality in a single manganese mine in Africa. 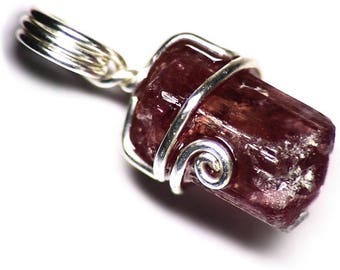 Manganese is famous for the pink color it gives to a variety of gems, from kunzite to tourmaline, and sugilite is no exception, famous for its pinkish-purple coloration. 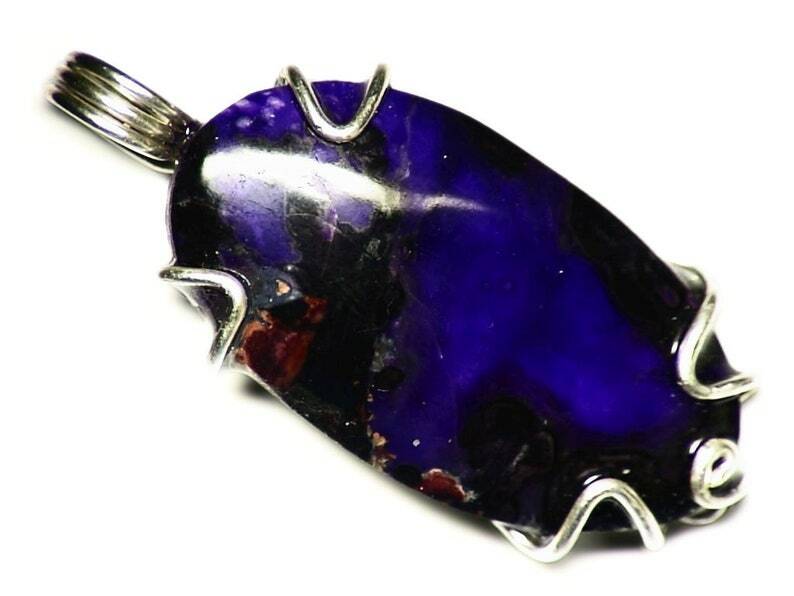 This stone is a beautiful purple-pink against a black matrix--it does shift towards blue under LED light, but not like the picture shows. 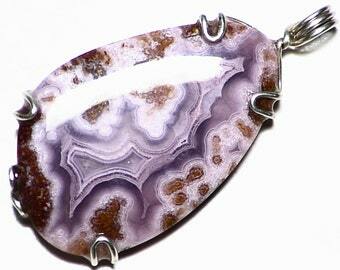 and has a nice lightly veined pattern. 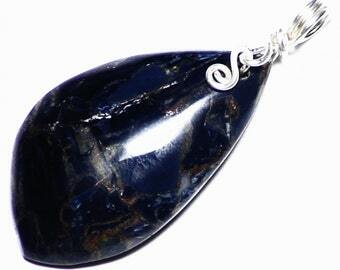 It is a beautifully colored stone, however, with some translucency and a nice contrast between the black and purple colors.